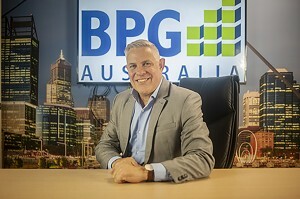 BPG Australia was founded by it’s principal – Jeff Braddock in 2003, to provide a professional property agency and consulting business to property owners, investors and developers in the Australian property market. Jeff has some 30 years experience in the property industry. Jeff commenced his career with Richard Stanton (now Burgess Rawson) in 1989 and in 1994 he joined Jones Lang Wootton (now Jones Lang LaSalle) as manager of commercial sales. In January 1997, Jeff became Director of Commercial, Investment and Retail Sales at Colliers Jardine (now Colliers International) before commencing at FPD Savills (now Savills) as Managing Director in September 2001. 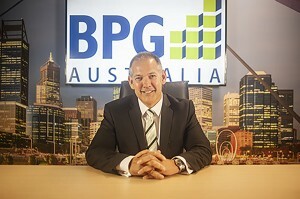 Jeff resigned from his position as Managing Director of FPD Savills WA and from the National Board of Savills Australia in June 2003, to start his own property practice – BPG Australia Pty Ltd in July 2003. Jeff’s experience and capability is reflected in his previous role as Managing Director and National Board Member at Savills. His experience and knowledge of the WA property market is reflected in having sold over 500 million dollars worth of WA property in the past 15 years. Having commenced a career in the Commercial Real Estate Industry a number of years ago, Allison has a very strong knowledge and understanding of Commercial Property. With over 10 years working with companies such as Ray White Commercial as General Manager, Allison has an expectation of achieving high standards and results in all that is done. Building a good, strong rapport with all clients and staff is essential and a strong focus in her role. A background in Architectural Drafting and over 35 years involvement in Commercial Interior Design and Project Management. Barrie has had his own Commercial Interior design company from 1992 – 2015 during which time the Company undertook numerous design and fit out projects in both office and hospitality. Prior to that Barrie had worked for Design Sale (a corporate interior design firm). With his vast experience & knowledge of design, Barrie now handles Sales & Leasing for BPG. 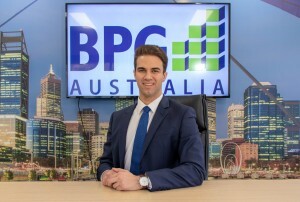 The newest member to join BPG Australia, Hayden has completed a Bachelor of Commerce Double Major in Property & Finance from Curtin University in Western Australia. Hayden has lived overseas in Southeast Asia (Singapore & Vietnam) for more than 10 years, allowing him to have an extensive international outlook on every day life. Prior to working at BPG Australia, Hayden worked at Transcore, one of the leading traffic planning and transport engineering consultants in Perth, Western Australia. 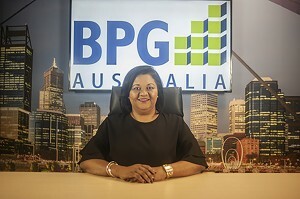 Charmaine has international experience working in the Financial Sector for over 25 years in Africa and Australia. 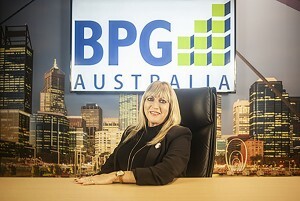 Since immigrating to Australia 10 years ago she has had high level involvement with Accounting, Architecture & Commercial Real Estate industries ensuring that all financial aspects of each business are being looked after with optimum efficiency.